THE COMPANION: Adi bin Hatim RA – Finally he didn’t left for Caesar. Adi bin Hatim RA – Finally he didn’t left for Caesar. 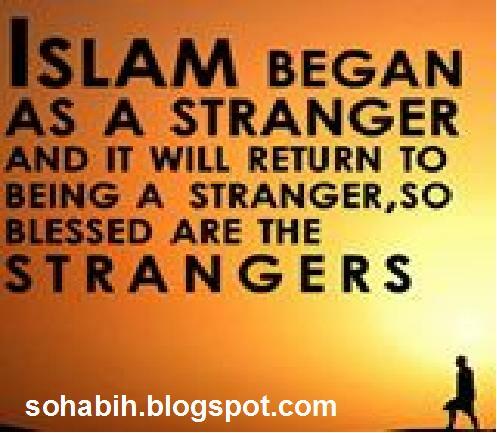 Rasulullah SAW Invites Adi bin Hatim to Islam. Adi bin Hatim. Narrates, 'O Men I heard about the coming of Rasulullah SAW, I disliked this very greatly. So I left and found myself close to Rome (according to another narration he said, "So I left and went to the Caesar"). `Adi was the son of Hatim, the chieftain of Tai’ tribe, which lived in Najd Province in the central part of Arabian Peninsula. After the death of Hatim, his son `Adi was crowned as the ruler. When Rasulullah SAW started calling people to Islam, `Adi felt threat to his rule. Therefore, he began to oppose Muhammad and act against the interests of Islam. `Adi and his tribe were Christians. When Islamic conquests came near to his tribe’s boundaries, `Adi decided to flee to Syria that was under a Christian King. Due to his haste in leaving his people, he could not take his beloved sister along with his caravan proceeding to Syria. Rasulullah SAW then added, "Listen. I am also well aware of the thing that prevents you from accepting Islam. You say that only simple people who have no influence follow him; people whom the Arabs have cast out. Do you know the place Heera?" Adi bin Hatim replied, “Although I have never seen the place. I have certainly heard about it." 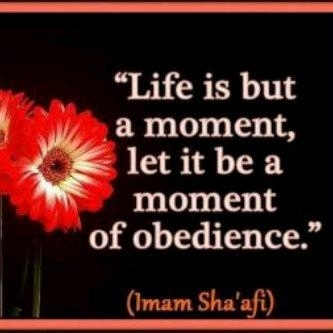 Rasulullah SAW then said, "I swear by the Being who controls my life! Allah shall bring this (propagation of Islam) to such completion (and the land will be so safe) that a veiled woman shall leave from Heera all alone and perform Tawaf of the Ka’abah without the need of having someone accompany her. Without doubt, the treasures of Kisra bin Hurmuz shall also be conquered. "In astonishment, Adi bin Hatim said, "The treasures of Kisra bin Hurmuz?" 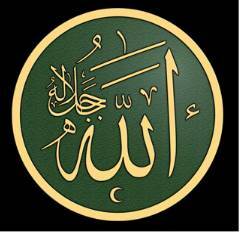 'Yes," replied Rasulullah SAW, "The treasures of Kisra bin Hurmuz. In addition to this, wealth will be so freely spent that there will be none to take it." Adi bin Hatim RA - narrates that he and some others were at a place called Aqrab when a group of horsemen sent by Rasulullah SAW arrived there. They captured some people along with Adi bin Hatim’s aunt. 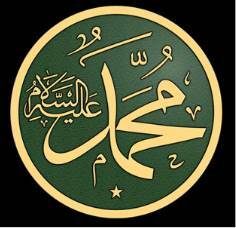 When they were brought before Rasulullah SAW and lined up before him, his aunt said, "0 Rasulullah SAW! My breadwinner has gone missing, my children are no more and I am just an old woman who cannot be of any service. Be kind to me and Allah will be kind to you." ''Who is your breadwinner?" Rasulullah SAW asked. "Adi bin Haatim" was the reply. Rasulullah SAW said, "The one who escaped from Allah and his Rasul. 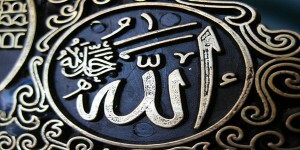 She then recounted the incidents of many people who had been to meet Rasulullah SAW and enjoyed a favorable reception. I then proceeded to meet Rasulullah SAW." "When I came to Rasulullah SAW, I saw a woman and one or two children sitting with him. ( Adi bin Hatim also mentioned how close they set to Rasulullah SAW )I. gathered from this that he was neither like the king Kisra nor like the Caesar (but much more approachable). Rasulullah SAW said to me, '0 Adi bin Hatim! What made you run away? Did the thought of saying that there is none worthy of worship but Allah make you run away? Is anyone worthy of worship but Allah? Adi bin Hatim RA - continues, "Some people then began asking Rasulullah SAW for things (and because he had nothing with him, Rasulullah SAW started encouraging the Sahabah RA to assist these people). Rasulullah SAW then praised Allah SWT and said to the people, '0 people! 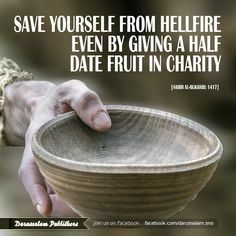 Spend from that wealth which is extra even though it may be one Saa or even less than that; whether it may be a handful or even less than that (one of the narrators by the name of Shu'ba says that as far as he can remember, Rasulullah SAW also added, 'Whether it may be a single date or even a piece of a date). Every one of you shall stand before Allah (on the Day of Qiyamah) and Allah SWT shall ask him exactly as I am telling you now. Allah SWT shall say, 'Did I not bless you with the faculties of hearing and seeing? Did I not give you wealth and children? What have you sent ahead from this? A person will then look in front of him and look behind him. He will look to his right and look to his left but he will find nothing there. He shall have nothing to save him from the fire of Jahannam besides the countenance of Allah SWT. 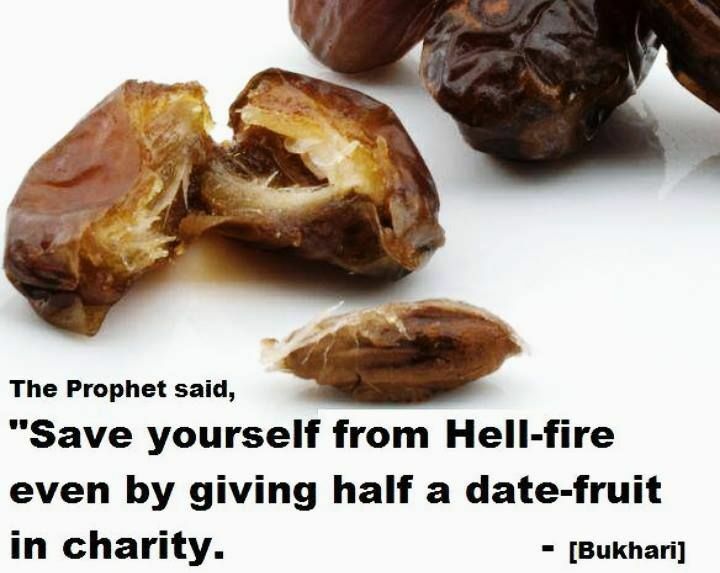 Therefore, save yourselves from the fire of Jahannam even though it is with a piece of the date (that you give as charity). If you do not even have that, than, do so by speaking a kind word (to a beggar). Verily I do not fear poverty overcoming you for Allah shall certainly assist you and shall certainly bestow his bounties upon you (according to another narration he said, "Allah shall certainly grant you many conquests") until the time comes when a veiled woman shall travel between Heera and Madinah or even a greater distance without the fear of being robbed while sitting in her carriage. Adi bin Hatim ( عدي ابن حاتم الطائي ) was a leader of the Arab tribe of Tayy, and one of the companions of Muhammad. He is the son of the poet Hatim al-Tai,who was widely known for his chivalry and generosity among Arabs. Adi remained antagonistic to Islam for about twenty years until he converted to Islam from Christianity in 630 (9th year of Hijra). Adi bin Hatim inherited the domain of his father and was confirmed in the position by the Tayy people. A great part of his strength lay in the fact that a quarter of any amount they gained as booty from raiding expeditions had to be given to him. as mentioned in lsaaba (Vol. 2 Pg. 468). (2) Referring to the closing verse of Surah Faatiha. the Messenger of Allah (saw) said: "Each one of you will be spoken to by his lord, with no mediator between them. He will look in from of him and the fire will be facing him. He will look to his right and will not see anything but something that he had sent on before. He will look to his left and will not see anything but something that he had sent on before. Whoever among you can save himself in Fire, even with half a date, let him do so." The Messenger of Allah (saw), said: "Whoever swears an oath then sees that something else is better than it, let him do that which is better and offer expiation for what he swore about."